Every summer about this time, I start to get the itch. You know, what will I add/subtract/continue to do in my classroom this year? This year I'm changing a lot because it will only be my 2nd year in the role of a reading intervention teacher. Last year was all about learning the ropes of my new position and my new school. I was just treading water. I'd like to think this year I know a little more and I can offer a lot more to my position. One thing I'm adding is punch cards! I plan to use these punch cards in different ways for each of my groups, grades K-2, because their needs are different too! 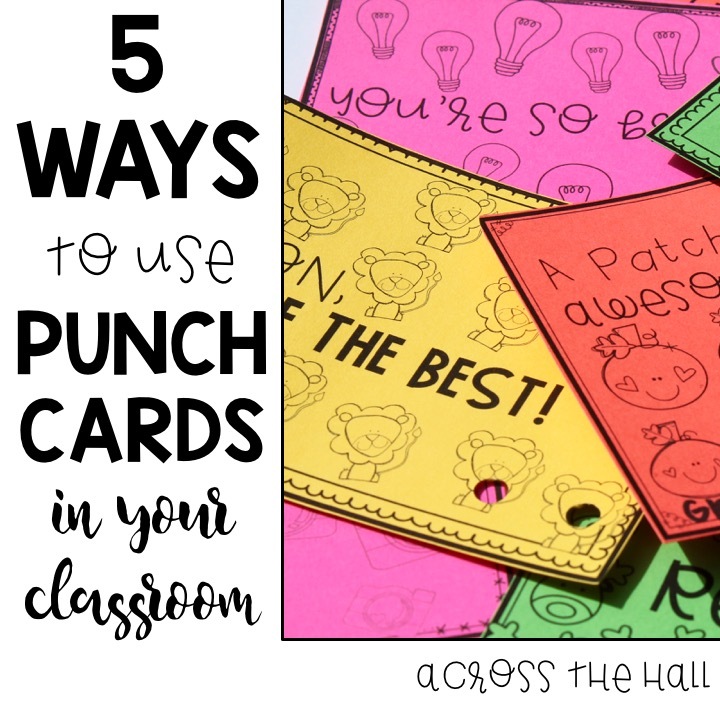 Read on to see how I'm using punch cards this year, plus a few ideas for classroom teachers too! 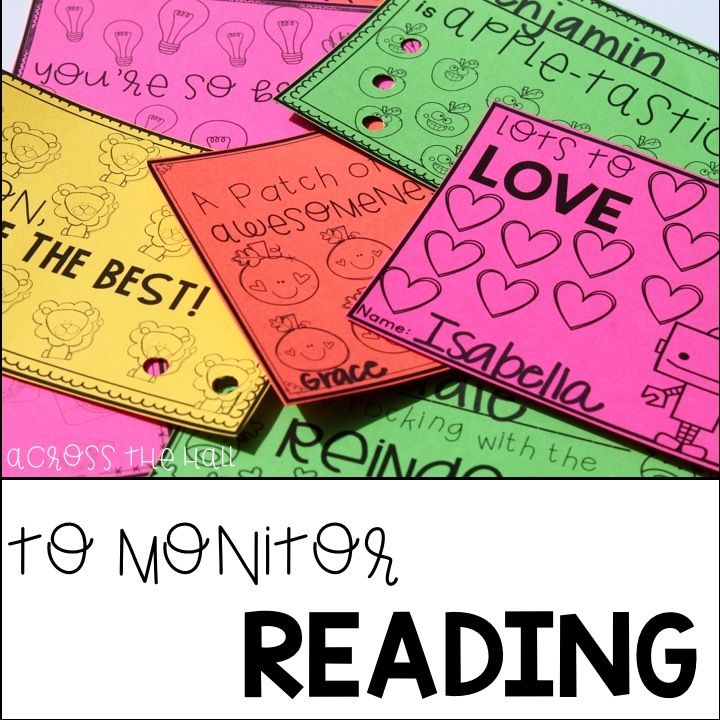 I will be using punch cards to monitor reading with my 1st and 2nd graders. I will send home punch cards in their take-home book baggies. Parents will initial for every book read, then I will punch the image to show I've checked it. The monthly themes of my punch cards add an extra initiative to their at-home reading and it's such an easy way to keep track of who is reading regularly (their nightly reading is optional from me). I will add empty punch cards to their student file and come progress report time I have an instant image of who was reading regularly and who I can recommend more at-home reading to. Have older students reading chapter books, or want to stress quality reading, not quantity? Have parents initial for every 10 minutes read, or have students punch during Daily 5 for every 5, 10, 15 minutes read to focus on stamina. 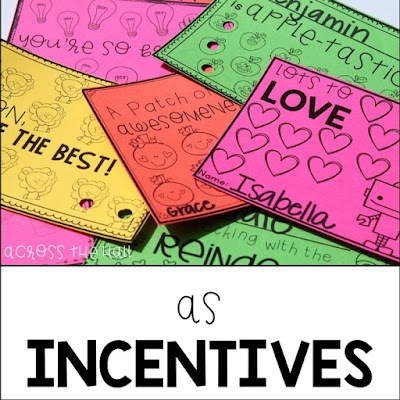 Punch cards as incentives will mostly be used with my little K friends, although I am not above breaking them out for my older friends as well. My time with my littles ones is precious, as I am spread out between 8-10 classes. 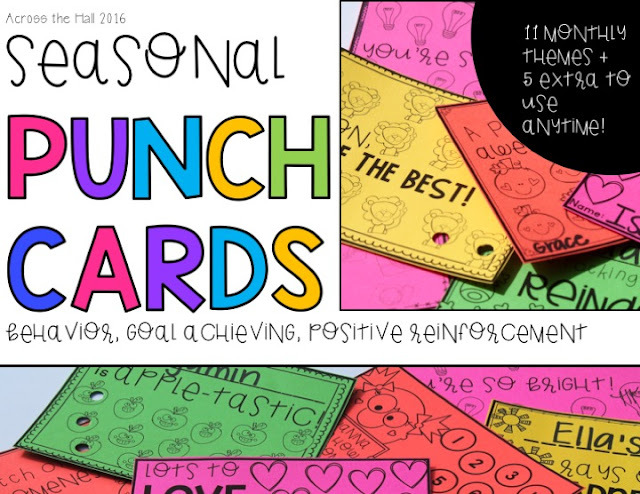 And we all know how short of an attention span our little ones have, so I will be using my punch cards as a way to keep them focused for as long as possible. We will be punching for coming to groups quickly, staying on task, completing a task or mini-assignment, being a helpful friend to others in group, and extra effort. I will be punching away. Punches alone are the perfect incentive. They do not need to be tied to extra prizes. Just saying, "Wow, Brady, you earned 3 punches today!!!" is enough for my little friends. I will also let them pick out their own punch cards instead of using them seasonally because, why not? 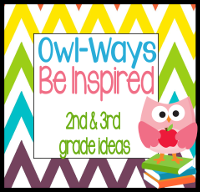 Independently or Whole Class: you might not want an extra thing to use with your whole class, or you might want a collective way to inspire your kids. There are no rules with these things! I will have a separate punch card for each of my reading groups (there's so many to choose from)! 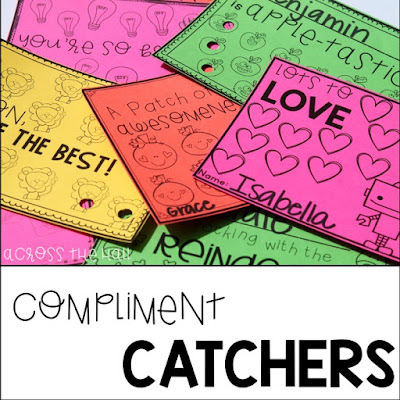 Anytime my students get a compliment from someone else, they will receive a punch on their group card. There are plenty of opportunities for compliments: we have to walk down to my classroom and back and we share a classroom with another intervention teacher. I also plan on punching the group's card if any of my students' teachers come to me with a compliment about progress in class. Each time a group's punch card is filled, I will have a fun reward, like no shoes or gum in small groups. Using the punch cards this way is important for me because, as a non-classroom teacher, I struggle with the amount of time to spend on procedures and routines when my primary role is an interventionist. Classroom management has always been one of my strengths and I found it was more difficult this past year not doing my usual beginning of the year lessons on behavior, procedures, and routines. Punch cards will offer a great assist in my management program as pull-out teacher. Punch cards are great for classroom teachers to use to monitor and track homework. 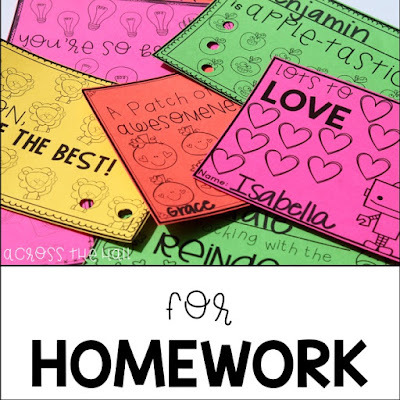 During my last few years as a classroom teacher we had "choice homework"...90% of our homework was by choice and the remaining 10% had to be done each week. I wish I'd had punch cards during those last few years. Students would receive a punch for the required homework and a bonus punch for any choice homework also completed. Punch cards work great for any homework program, though. 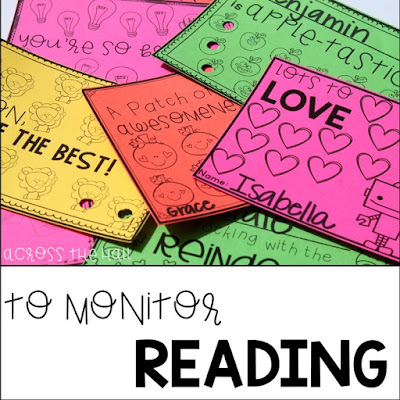 An easy, student-centered way, to monitor homework completion. Do you do timed tests in your classroom? AR? Xtra Math? 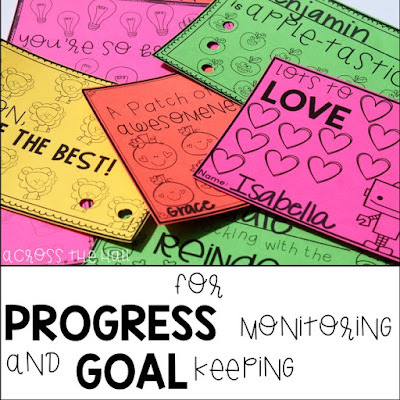 Any skills you assess using progress monitoring would be a great way to use punch cards. 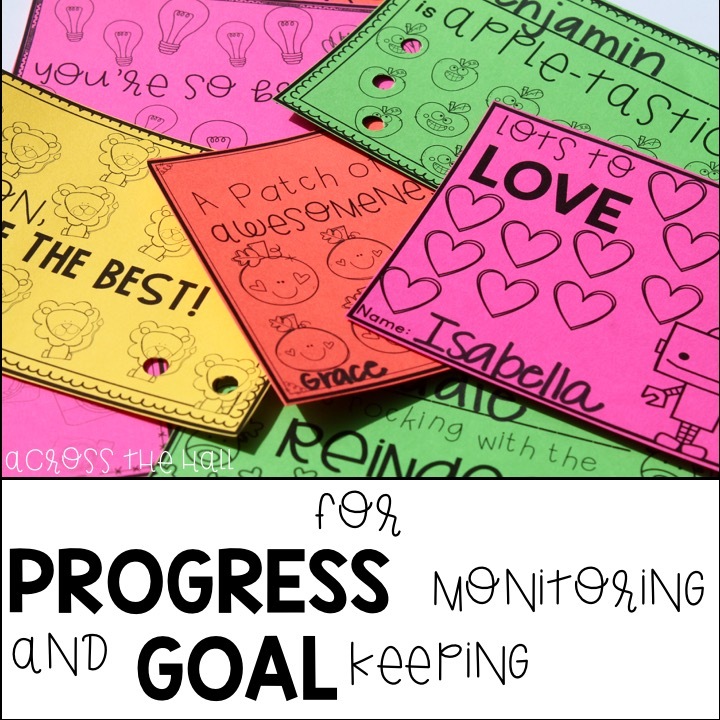 Have students keep individual goals and write the steps for getting to that goal? They can punch their card every time they complete a step along the way. 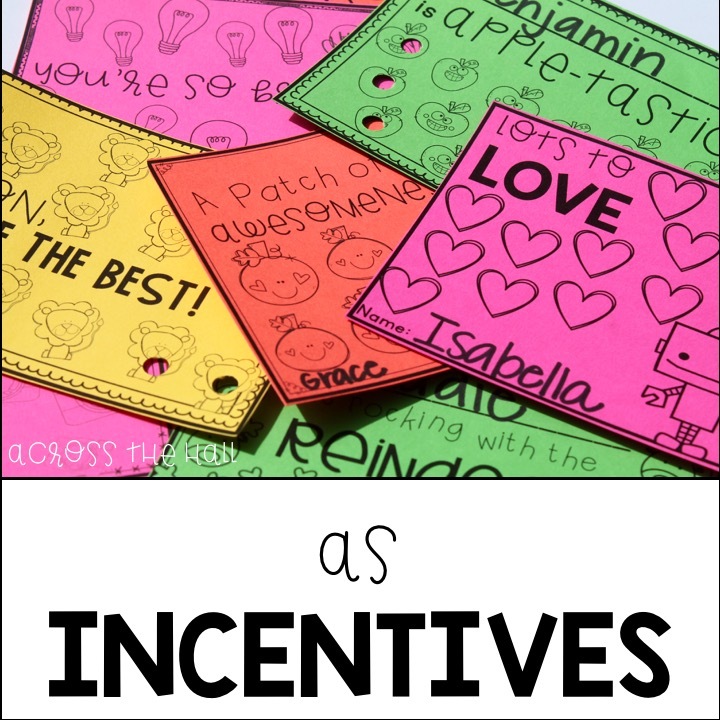 Bonus for letting students choose and punch their own cards! This will really help them take ownership of their own work and goals. As you can see, I've really thought through how I'm going to use my punch cards this year! Now not the next 23,982 things I want to work on for the next school-year! 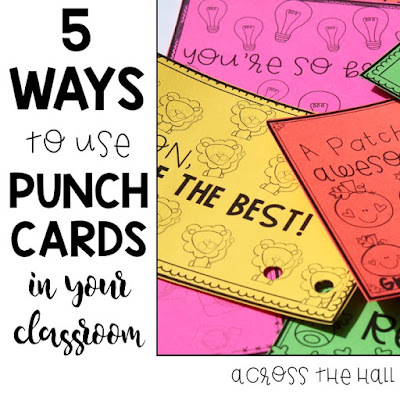 If you're interested in using punch cards in your classroom or small groups this year, you can grab them from TpT by clicking the picture below. They include a theme for each month of the school-year (some have two themes because I couldn't decide), plus 5 extra sets for even more student choices! Black ink, so they're printer friendly...print on bright cardstock and you're good to go! Have other suggestions for how to use punch cards? Leave them below! I started using punch cards last year with my class and they worked really well. The year before I had classroom money and it was such a pain to manage! The cards were wonderful. So much simpler. Plus I made a spot for their names so there was never a dispute about who they belonged to. Oh I need these ASAP! Putting them right in my cart. You're right- it is really hard as an interventionist to decide how much time to spend on procedures and rules, especially at the beginning of the year.